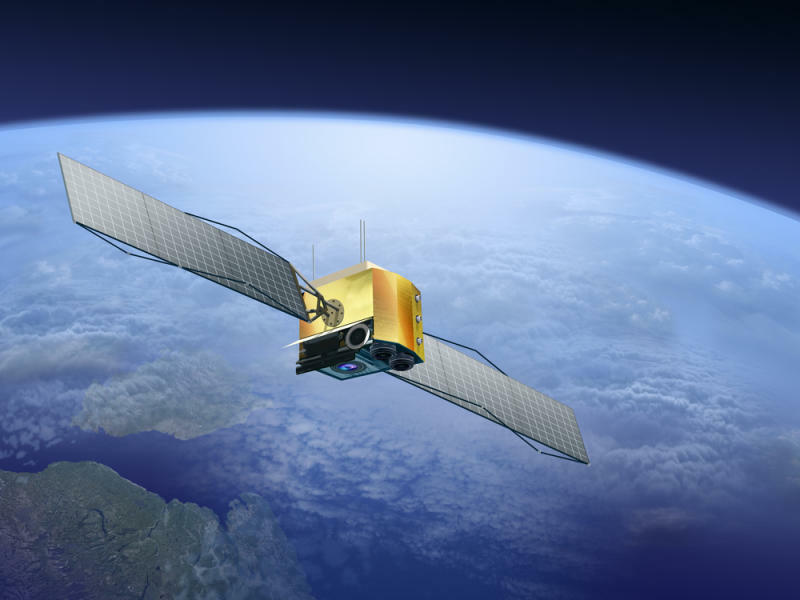 US aerospace company Lockheed Martin presented its new "SmartSat" technology to journalists Wednesday near Washington. Once a traditional satellite is launched into space, its physical hardware and computer software stay mostly immutable for the rest of its existence as it orbits the Earth, even as the technology it serves on the ground continues to change. Just as some aerospace start-ups are developing technologies to repair, modify or refuel satellites to prolong their lives, some satellite manufacturers are looking at a complementary solution -- hoping to install smartphone-like software with more computing power and capable of receiving updates within minutes instead of days or weeks. "SmartSat" software will hitch a ride aboard mini satellites called cubesats that they plan to launch within the next six months. "Today's satellites that exist currently are durable, they're capable, they're precise, but once we launch them, they generally don't change much," Lockheed Martin's Maria Demaree explained. "We want the satellites of the future to operate more like smartphones." Instead of computer programs with a single processor, like satellites have today, with "SmartSat," Lockheed Martin says they'll be bringing multi-core processing to space. "That lets satellites process more data in orbit so they can beam down just the most critical and relevant information -- saving bandwidth costs and reducing the burden on ground station analysts, and ultimately opening the door for tomorrow's data centers in space," the company said in a statement. For example, according to the company, this technology could allow a commercial operator to more easily reprogram a communications satellite to switch to serving Eastern Europe instead of Western Europe, if necessary. The US military might also be interested, though Lockheed has not yet confirmed whether they are a "SmartSat" client. Why haven't aerospace organizations implemented such revolutionary technology before now? Extreme conditions in space make everything more complicated. "The hardware is very susceptible to locking up or just completely burning out," said "SmartSat" program manager Adam Johnson. "So the hardware is now catching up to the capabilities that we see on the ground, such that it's more radiation-tolerant."